According to an American Express meetings and events 2014 global meetings forecast, the number of meetings being held in Asia Pacific is set to fall. Following two years of predicted increases, the Asia Pacific region appears to be slowing down and is expected to experience a slight decline (a negative 1.2%) in the number of meetings in the region. Asia Pacific is also expected to experience the largest decline among all regions in overall meetings spend per organisation (negative 3.6%) as the region is likely to shift towards greater spend control. 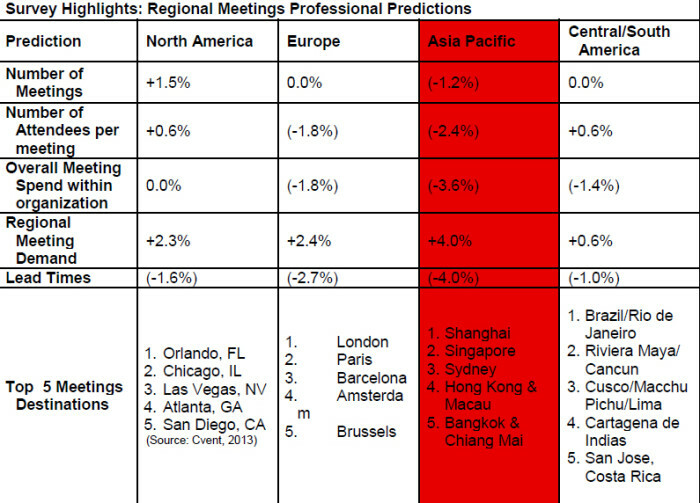 Asia Pacific meeting planners also forecast a 2.4% decline in the number of attendees per meeting. “While businesses throughout Asia Pacific still recognize the importance of meetings and events, over the past year there has been a shift towards greater control and transparency within meetings programs,” Danielle Puceta, director, American Express Meetings & Events, Asia Pacific said. The 2014 American Express meetings and events forecast showed that Shanghai was ranked the number one meeting destination choice among meeting planners in APAC for the second consecutive year, followed by Singapore and Sydney. Hong Kong and Macau have jumped from number seven last year to number four this year, and Bangkok and Chiang Mai came in at number five in the rankings. 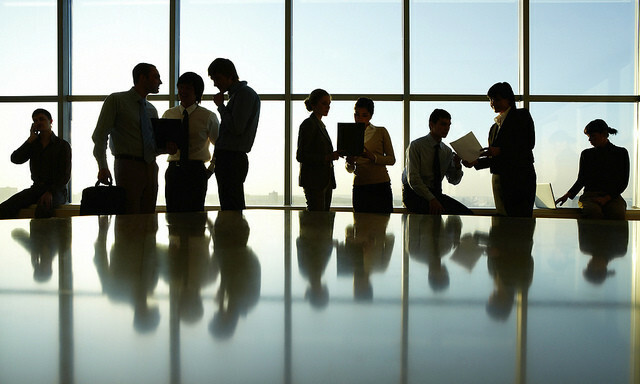 Survey respondents in the region are also forecasting a decline in meeting attendance in 2014. Also, after years of increased spending by corporations in Asia, the industry appears to be entering a new phase of greater scrutiny. Last year, Asia Pacific respondents were the only ones to predict an average increase in spending, however, this year they are predicting a 3.6% decline. This report is done by American Express Meetings & Events, a division of American Express Global Business Travel. Information and data was gathered from actual and planned meetings activity of American Express Meetings & Events globally and Maxvantage clients in North America. Surveys of meeting professionals were conducted to gather trends across U.S., Canada, Europe (France, BeNeLux, Germany, Nordic, Spain and United Kingdom), Asia Pacific and Central/South America including Mexico. Is Myanmar ready to host the SEA Games? IKEA's latest creative for its Soft Toys for Education charity programme - look familiar?.. NTUC's membership division has appointed PHD as its media agency until the end of the year, to take charge of its day to day media..